Online restore deleted data. Specialist help to recover data after formatting. Today is a great value and digital information and image data, the lion's share of which is usually stored on your computer. People can store it for years for both personal goals and professional. One can only imagine what will turn to them the loss of such valuable information as luggage. Save the situation can only restore information that is now under force to produce skilled IT industry. Data from the computer may be lost for various reasons. For example, you may accidentally delete a report or thesis , which worked over a long period of time. Also, after a while you may need a file that was previously removed due to lack of need . When this information recovery by re- creating it is not always possible , and kill a lot of time and nerve cells . In addition, modern technology easily allow experienced intends to destroy data from another computer to cause harm . Especially popular is wrecking in business . Recovering deleted data is also possible in this case . However , in practice , most computer data lost after formatting and reinstalling the software. 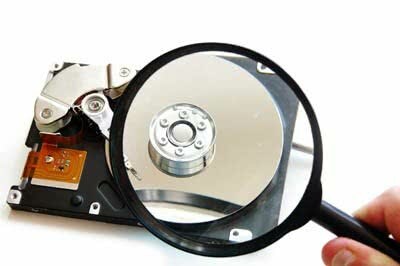 Data recovery after formatting is not a problem for an experienced professional with specialized equipment and programs for data recovery . It also makes it possible to recover corrupted data. Often people also store information on your USB flash drive or other digital media , which tend to "burn" . But do not give up. Recovering data from flash and other media that have been damaged , possibly today . If you are faced with the need to restore data in Rivne, feel free to contact the detective agency " Private detective Rovno." This we have engaged experienced IT professionals who have skills as data recovery, and the necessary software and technical equipment. data recovery from raid array. Keep in mind also that the data recovery after formatting is not limited by our specialists commonplace recreation stored to this file on your computer . This may be lost passwords , browser history , as well as the operating system. Our specialists and return the data. So do not delay and do not try to solve this problem alone. Without the proper technical base you this is unlikely. If the information is really expensive for you , please contact our agency , we can easily restore it.